The disproportionate role women play in leading and defining science, technology, engineering, arts and mathematics (STEAM) has long been an unaddressed problem. Women in the Western world use the internet more than their male counterparts, yet last year only about 15 percent of tech startups included a female founder. Women buy more cars than men do, but only make up about 20 percent of the U.S.’s current engineering student body. There are more female visual artists in the United States than there are male visual artists, yet most U.S. art museums are run by men, and female artists still make less, on average, than their male counterparts. It is 2015 and these statistics are embarrassing. One Long Beach startup, Wonder Women Tech, is taking these problems and more head-on, in a big way. With the support of the City of Long Beach, Wonder Women Tech will host its flagship conference in Long Beach July 15-17, 2016. With an anticipated attendance of over 3,000 people, the Second Wonder Women Tech conference will almost certainly be the largest conference focused on empowering and highlighting women in STEAM industries anywhere. Of course, good things often start out small(er). For Los Angeles/Long Beach Innovation Week, Wonder Women Tech is partnering with Intertrend Communications to host a panel discussion and mixer as an informal launch to a series of Wonder Women Tech initiatives leading up to next summer’s conference. This event, to be hosted at the Edison Theater in downtown Long Beach, is open to the community and free to attend with registration. The Long Beach community is an important aspect of Wonder Women Tech’s mission. 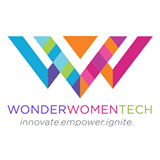 The Innovation Week panel and mixer for Wonder Women Tech starts at 6:30PM on October 23. You can find out more about the panel discussion and obtain tickets at the event registration page, found here. Editor’s Note: the author of this article is quite proudly helping produce the Wonder Women Tech Conference on behalf of the Wonder Women Tech Foundation. Above, left: Image courtesy of the Wonder Women Tech Facebook page.